Apart from providing hydration, water can help you lose weight, quit smoking, cure hangovers, and simply wake up in the morning. 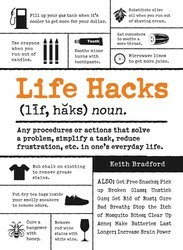 Keith Bradford, author of Life Hacks makes life a little bit easier by bringing you these tips. So before you reach for another aspirin, protein shake, or the snooze button, reach for a glass. 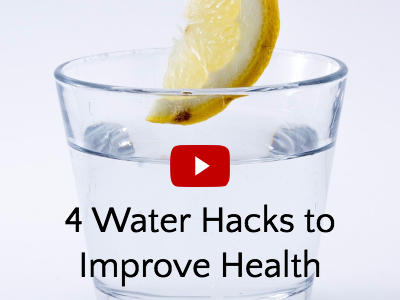 Watch our video below to find out the health benefits of water. Wake Up in the Morning: Drinking a cold glass of water in the morning will wake you up faster than a cup of coffee. Lose Weight: Drinking two cups of water before meals can make you lose an average of four and a half more pounds in twelve weeks. Help with Depression: Feeling depressed? Drink water; you may be chronically dehydrated. Quit Smoking: Drink a lot of water and chew fennel seeds. This will help flush toxins out of your system. The fennel seeds will keep your mouth active when cravings arise. Cure a Hangover: Drink water with an Alka-Seltzer. They even have a Morning Relief formulation specifically designed for hangovers. And maybe best of all…water is free! In fact, fast food restaurants legally have to give you water for free if you ask. As seen in Redbook Magazine Simple solutions to everyday problems!Wouldn't it be nice if there were a way to make life easier? With Life Hacks, you'll find hundreds of methods that you can start using right now to simplify your life. From folding a fitted sheet to removing scuffs from furniture, this book offers simple solutions to a variety of everyday problems. Each informative entry helps you discover quicker, more efficient techniques for completing ordinary tasks around the home, at the office, and just about anywhere. You'll also learn how to make the most out of any situation with fun, problem-solving tricks like creating an impromptu iPod speaker from toilet paper rolls or snagging a free doughnut at your local Krispy Kreme shop.Filled with 1,000 valuable life hacks, this book proves that you don't have to search very far for the perfect solution to everyday problems.